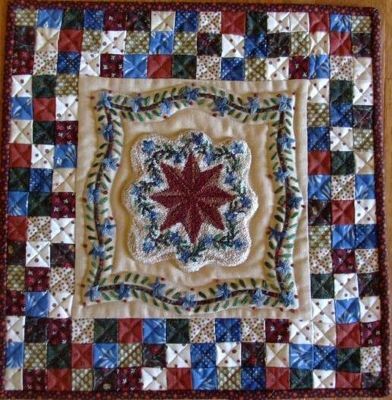 This pattern has about a 4" center punchneedle design, embroidery and applique' border and instructions to make the quilted border. It is 12" square finished. Litlle quilts are a unique way to show off your punchneedle skills! The pattern comes with golden colored weaver's cloth and the pattern to trace.